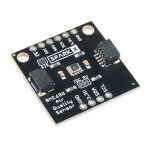 The SGP30 is an indoor air quality sensor equipped with an I2C interface. It outputs equivalent CO2 .. 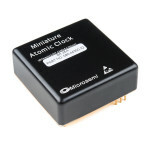 The Miniature Atomic Clock (MAC) from Microsemi uses a rubidium laser to output an extremely accurat..
Arduino and Arduino compatible dev boards are an awesome tool for developing an idea quickly but, be.. 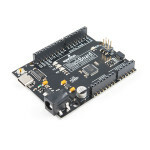 The Bluetooth Mate 4.0 is the next evolution in our line of serial Bluetooth modules. This board is .. 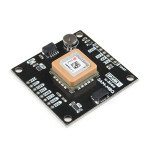 The BME680 from Bosch is a powerful sensor capable of sensing humidity, barometric pressure, tempera..
Ublox makes some incredibly sophisticated GPS receivers like the NEO-M8P. The SAM-M8Q is just as hig.. 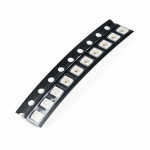 The Magnetic Imaging Tile uses an array of 64 hall effect sensors to convert magnetic fields to the .. The WT2003S makes playing MP3 files from an SD card dead simple! 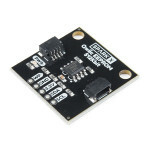 All you need to do is load your fil..
MEMs based barometric pressure sensors are quite common these days. 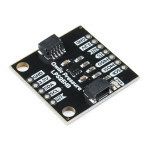 The Qwiic Pressure Sensor with t.. 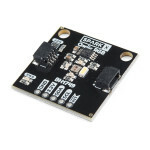 The AS3935 Franklin Lightning Detector gives you lightning detection for your next weather project. 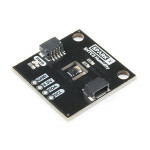 ..
Add some serious data storage to your latest project with this 512Kbit (64KB) EEPROM. 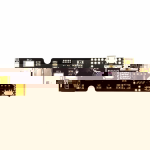 Some flash bas..
Keypads are very handy input devices. And there are many great libraries written to interface to key.. 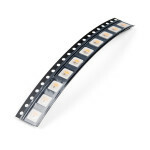 The Qwiic LED Stick features ten addressable APA102 LEDs, making it easy to add full color LED contr.. 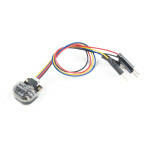 The LPS25HB is an absolute pressure sensor which means that it has an internal vacuum as a reference.. 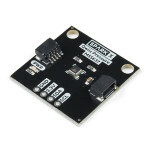 The Qwiic RFID ID-XXLA is a simple board that pairs with and comes in a kit with, the ID-12LA and th.. 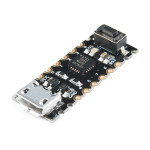 The Qwiic Starter Kit was designed to allow users to get started with Arduino without the need for s.. 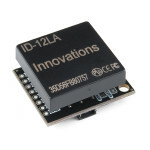 Need to autonomously monitor for that specific color value? Want to hone in on that magenta ball? Or.. Does your robot crush objects with its hulkishly strong grip? Give your robotic hand or claw a bette.. 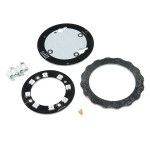 The Rotary Dial Kit is designed to be a simple interface device for your project. Input is achieved .. 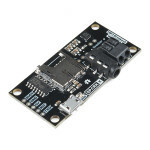 The PI22TAT5R5G5B-2427 is a mouthful, but it's also an addressable RGB LED in a very small 2.4x2.7mm..
Sensirion's SHTC3 digital humidity sensor builds on the success of their SHTC1 sensor. 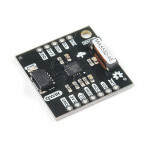 The SHTC3 has..
Qwiic RF is a packet radio system that's designed for sending short packets of sensor data from one ..
Out-Of-Fiction A mysterious device... a rogue AI... a dark secret... The Prototype is a hardware.. 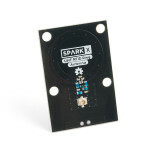 Eager to try out the new Ultra-small UHF RFID Rain Tags it quickly became apparent that the trace an.. 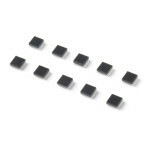 The 'Rain' ultra-small UHF RFID tag from Murata is really exciting because of its fantastically smal.. 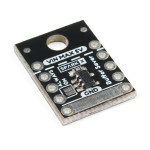 The 1Wire-to-Qwiic Bridge allows you to communicate via I2C over very long distances. It does so by ..